This deserves an A+ in my book for fun, easy and fast. It’s a no brainer really; great for snack or meal on any busy or lazy day. It is so easy to put together with these simple ingredients; whole wheat pita, pizza sauce, green peppers, mushrooms, pepperoni, pineapple and a whole lot of mozzarella cheese. You can start of by brushing the pita with some olive oil, then spoon on some pizza sauce and then you may go crazy with the toppings of your choice and then pile on the cheese. Bake it in a preheated oven on 400 degrees F for 10 minutes. If you like, you can also top it with some fresh chopped parsley or basil. 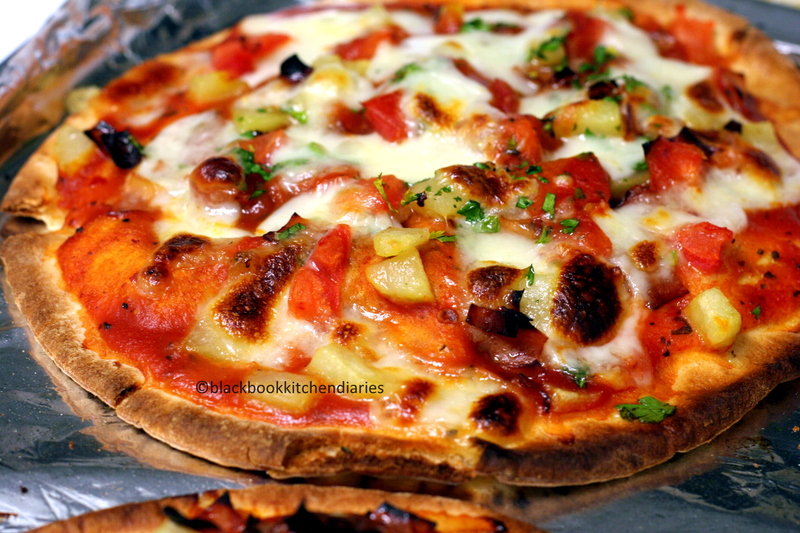 Being a pizza-holic, this is a staple at my home on lazy weekends when all I want to do is nothing but watch The Food Network. I pretty much always have pita sitting in the freezer, it is so much better than calling for delivery. you are such an awesome cook, Jon must be so proud of u!!! That pizza of yours looks so delicious. It looks easily done. Great work! I’ve tried making pizza several times by making the dough from scratch. It came out quite good. 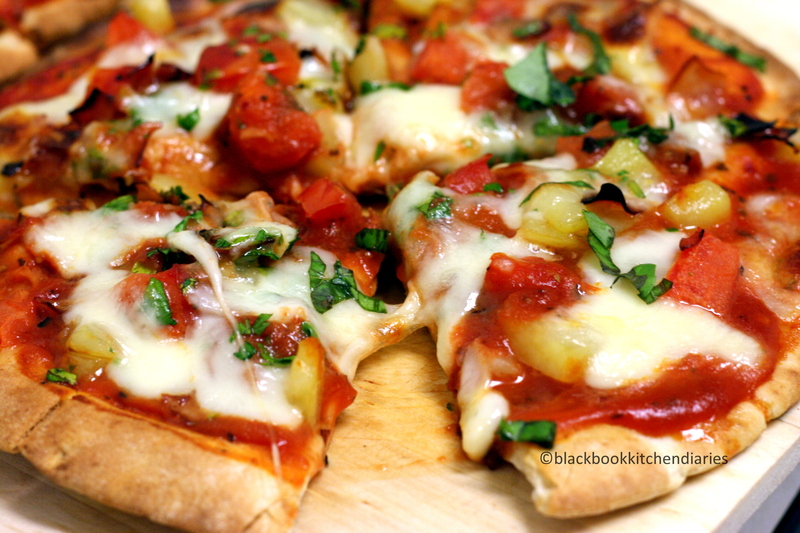 Will be putting my pizza recipes on my blog. Hope to see you again.